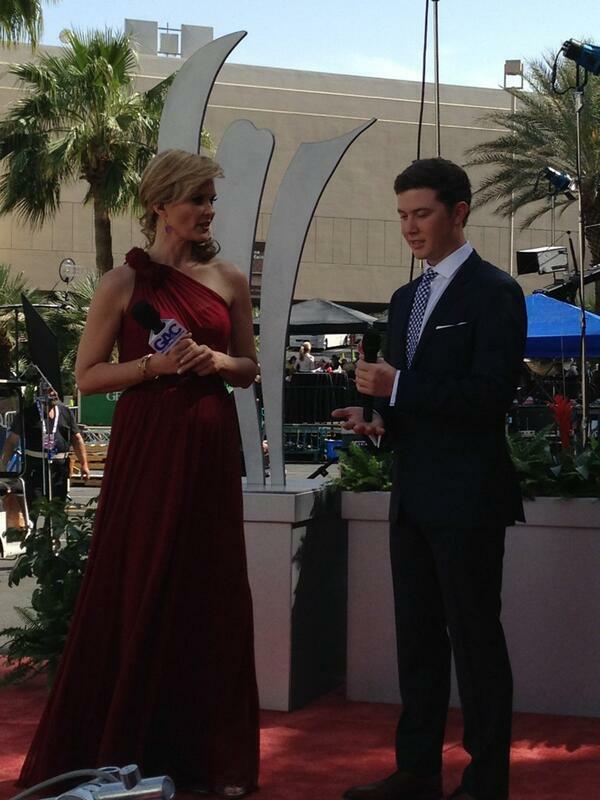 Scotty McCreery is getting ready to go back to the show that made him a household name. Watch for him to perform next week on American Idol. It’ll be a quiet night tonight for him at the ACMs after being nervous as a nominee last year. Scotty has nothing but praise for the job Keith Urban is doing as a judge. “He gives solid critique. I would have liked to have had him my season.” Scotty isn’t so sure if it’s a chair he’d like to sit in though. He says being a judge himself is something he’d have to think about. Scotty says he tries to catch the show, but the 8pm time slot makes it tough given that he’s busy working on a new album while going to college. Last month, Scotty packed ‘em in at The Florida Strawberry Festival. “That was quite the day for us,” Scotty told Dave McKay. Scotty did a video blog about his day at the festival and his visit to Universal Studios. When Scotty drew a card from Dave & Veronica’s deck of questions, he was stumped on whether he would join the cast of The Kardashians or Jersey Shore. If he had to pick, Scotty says he’d rather have a part on Duck Dynasty. Last year’s American Idol winner Phillip Phillips gets a lot of credit for reinvigorating the Idol crown’s significance, but people seem to forget that his predecessor, Scotty McCreery, has had a pretty darn impressive post-Idol career himself. McCreery’s debut album Clear As Day sold 1.2 million copies and spawned two country hits, “I Love You This Big” and “The Trouble With Girls.” Today, an Amazon listing confirmed what many have recently speculated — that McCreery is about to unleash new music into the world. The deep-voiced country crooner, who’s currently enrolled at North Carolina State University, will release “See You Tonight” on April 9, and it’s safe to assume he’ll perform the song when he visits the American Idol results show two days later. My snap judgment? This is by far the best thing he’s ever put out. While much of Clear As Day felt dull and antiquated, both lyrically and musically, “See You Tonight” feels fresh, youthful, romantic, and perfect for the warm summer nights ahead. McCreery’s baritone laces the moonlit lyrics convincingly — especially that “Baby, it’s worth the drive/you’re worth the drive” lyric, which will have a lot of his female fans swooning. The song actually reminds me a bit of Eric Church’s “Springsteen,” another romantic, torchy midtempo number. Outside of entertaining fans on stages around the country, there's nothing Darius Rucker loves more than a round of golf on the nation's top courses. On Saturday (April 6), Darius took that passion to the TPC Las Vegas course to host the ACM Lifting Lives Celebrity Golf Classic for the second consecutive year. Darius welcomed several of his golf-playing buddies like Jake Owen, Charley Kelley of Lady Antebellum, Scotty McCreery and Brett Eldredge to the event, which raises funds for the ACM Lifting Lives Diane Holcomb Emergency Relief Fund, an organization that provides immediate relief to those in need in the music industry. The ACM Lifting Lives Celebrity Golf Classic is all part of the exciting Academy of Country Music Awards week in Las Vegas. Check out some cool photos of the event right here. And make sure to watch The 48th Annual Academy of Country Music Awards show telecast tonight, April 7, on CBS at 8 p.m. ET, live from Las Vegas. 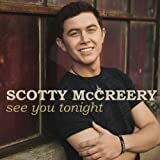 Scotty McCreery To Release New Single “See You Tonight” April 9th – Single Cover Art! Scotty McCreery fans, the wait is almost over! Amazon confirms the release of a new Scotty song “See You Tonight” on Tuesday, April 9th! Logically, this is what Scotty will be singing when he returns to American Idol this Thursday night. Check out video of Scotty’s live debut of three new songs from his upcoming album HERE. Scotty cowrote “See You Tonight” with Nashville tunesmiths, and this will be the first song he has released that he had a hand in writing. Copyright: (C) 2013 19 Recordings, Inc. This item will be released on April 9, 2013. Fans can watch ACM Red Carpet Live on GAC with hosts Suzanne Alexander, Storme Warren and Nan Kelley’s lively interviews with many of the top ACM nominees and performers. ACM Red Carpet Live will air on Sunday, April 7th from 3:30 PM – 5:00PM PT. GAC’s red carpet show will also stream live Sunday at ACMCountry.com beginning at 3:00 PM PT and will move to the ACM Awards press room at 5:30 PM PT featuring press interviews with the winners. The live stream on ACMCountry.com is brought to you by Las Vegas.